Its late, and you need to deliver the last pizza on the list. How hard can a pizza delivery be? Just deliver the pizza, get the cash and return home. Thats all in this game. Or... is it...? 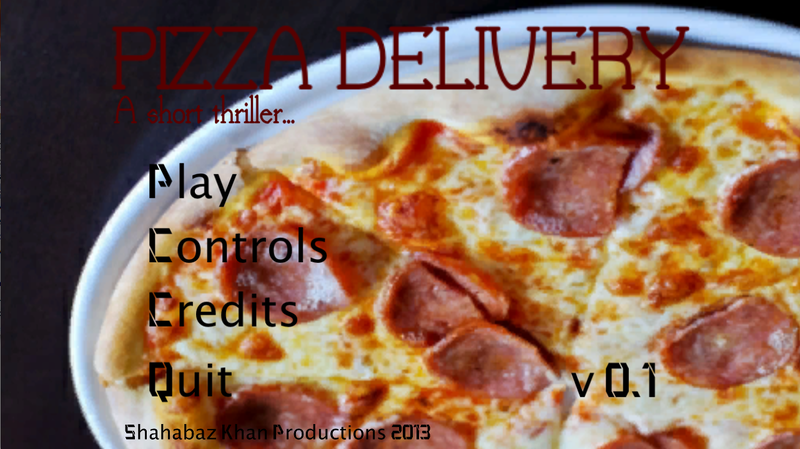 More flavours will be added on further updates of the pizza. Seriously, its a simple task! Hardly 4 minutes of gameplay, if you can handle it... DOWNLOAD FROM THE OFFICIAL SITE ADDRESS PROVIDED IN THE PROFILE AREA BELOW. This time, its serious. The first version was just an appetizer. Signs of what was yet to come. The whole game is revamped. Its a totally different piece, with the same thread, but with phenomenal twists. Revolutionary leap in the horror game genre- THE INTERACTIVE FICTION -Where you literally act as the main character of a chilling horror fiction. If you failed to figure out where to download this game from, download this help file and read it. I recorded a gameplay of your game at 1080p. If you fold paper seven times, it will explode! See video for proof..